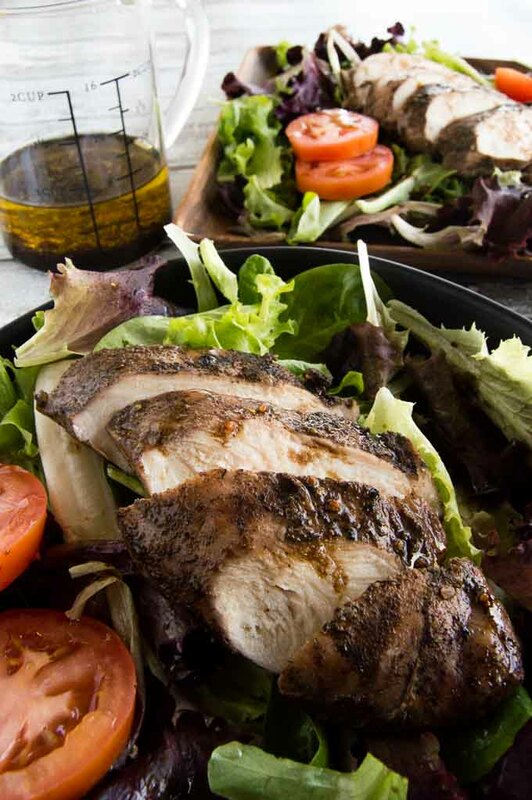 Easy Grilled Jerk Chicken is full of authentic jerk flavor and low on calories for a delicious variation from your weeknight chicken routine! Your friends & family won’t believe how simple this recipe is to make, if you share your secret that is! Nice weather is just around the corner and I don’t know about you but Im ready for some simple grilled recipes that are light and are packed full of flavor! This easy grilled jerk chicken is just what I’ve been craving. I love winter and all of the comfort foods that keep me warm and cozy, but my waistline needs a little lighter fare. 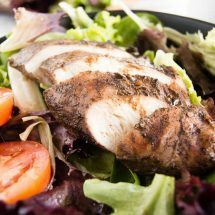 This grilled jerk chicken makes me happy to when I eat it because although its a healthier and lighter option it still is packed with great flavor! What does it mean to jerk chicken? 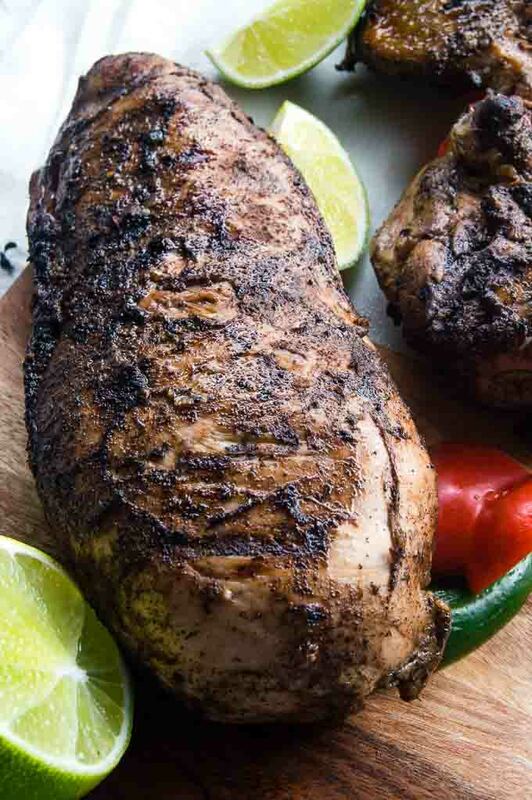 Jerk is a Jamaican concept and refers to how you spice the chicken. It usually includes allspice and habanero chilis. In Jamaica, it is cooked over wood over an open flame, although in my recipe its made over a regular grill. How do you make grilled jerk chicken? To those spices add the wet ingredients: (minced garlic, minced onions, rum (optional) olive oil, water, lime juice and soy sauce) Stir to combine them thoroughly. Marinate in a ziplock bag: To the bag you’ll add the chicken you plan to grill and pour the marinade over it making sure to get it all coated. 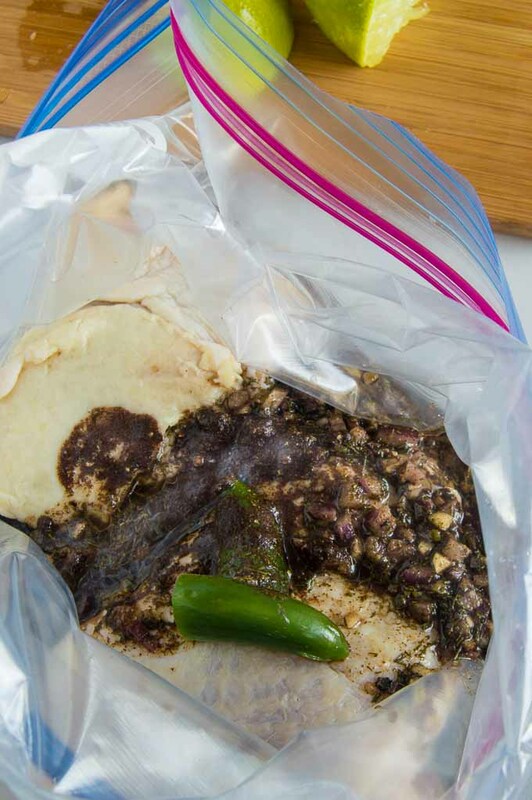 Seal that bag and let it marinate for a minimum of 1 hour. I have you covered if you are afraid of the heat of the habanero. You clean out the seeds and just put the sliced peppers in while it marinates. When you grill the chicken you toss away the pepper. Some heat moves over but not so much that your mouth will be on fire. 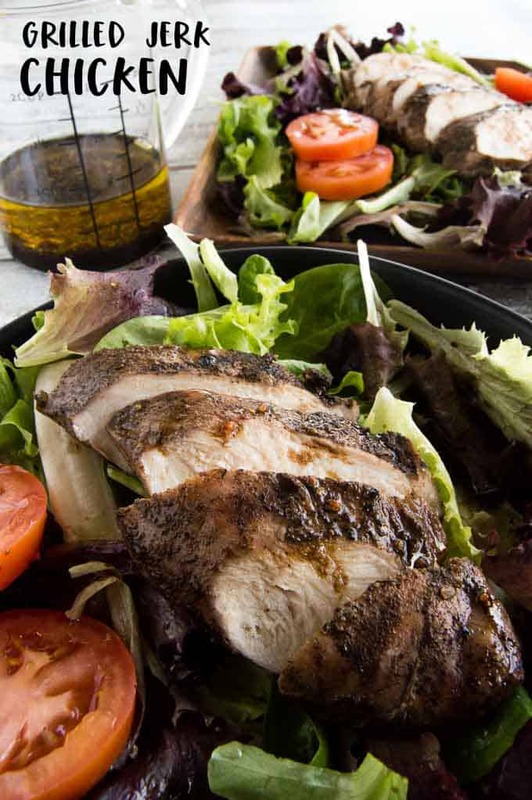 Grill the chicken low and slow: By grilling it on low, the marinade doesn’t burn off and the authentic jerk chicken flavor really stays on the chicken. You can see in this photo how the seasoning is still present and didnt burn off because it was cooked on low. 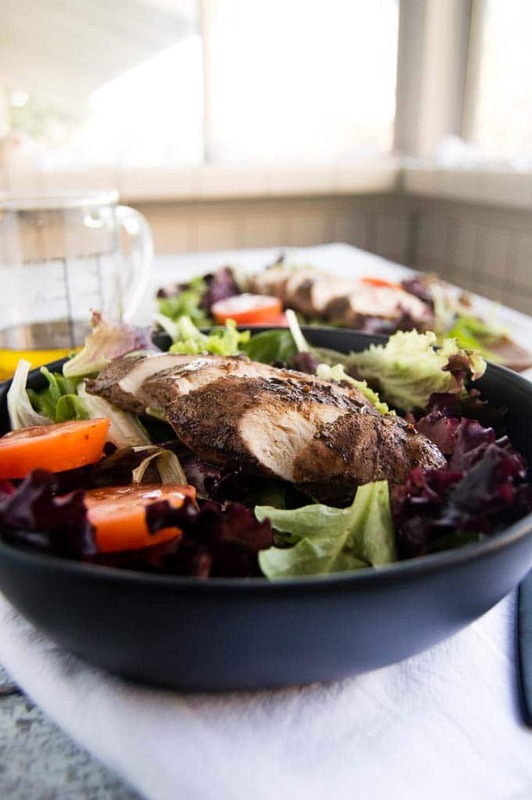 I’m showing this easy grilled chicken sliced over simple salad greens but it also works well over rice and you can serve it with a Greek Yogurt Tzatziki Sauce like this one over the top. The cucumber yogurt sauce is also low in calories and it will also cool the heat of the habanero pepper if you need it too! 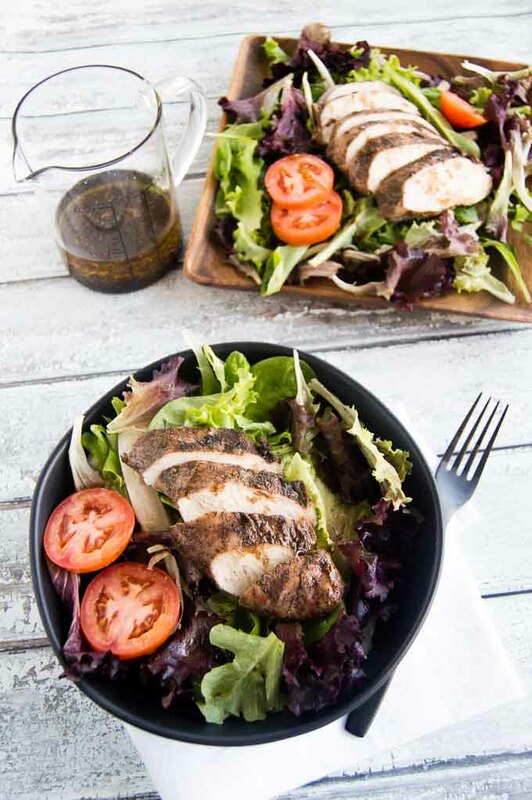 Easy Grilled Jerk Chicken is full of authentic jerk flavor and low on calories for a delicious variation from your weeknight chicken routine! Your friends & family won't believe how simple this recipe is to make, if you share your secret that is! 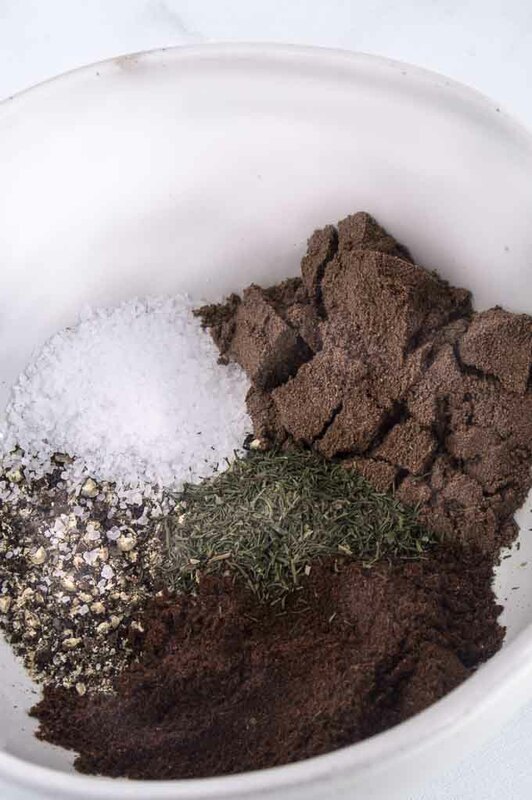 Into a small bowl add dry ingredients (thyme, allspice, cloves, salt, pepper and brown sugar.) Stir until well combined. Add to that bowl the minced garlic, minced onions, rum (optional) olive oil, water, lime juice and soy sauce. Mix well. Place chicken pieces into a ziplock bag then dump the spice/liquid mixture over the top. Press out as much air as possible and seal the bag. Using your hands, move the marinade so that it covers all areas of the chicken. When ready to cook, remove the ziplock from the fridge while you preheat your grill to low to medium heat. 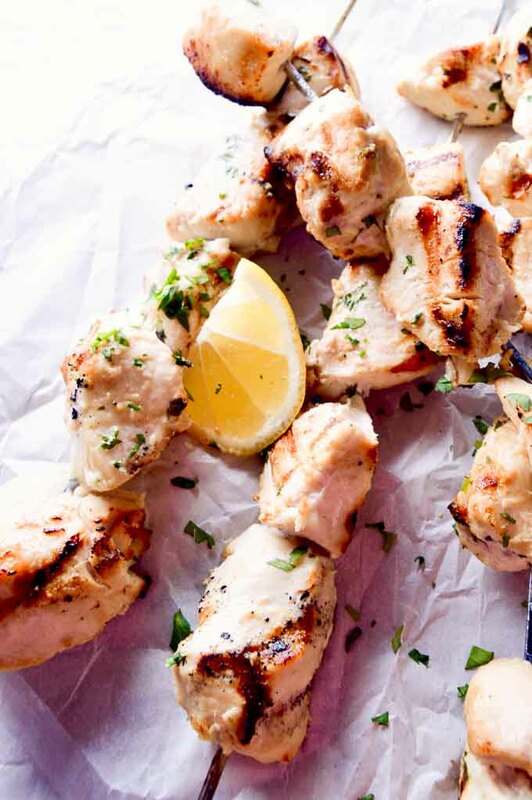 Using tongs, place the chicken breasts on the grill when hot and cook until either the juices run clear when cutting into them or the internal temperature reaches 165°. Every grill is different in terms of temperature, but the cooking time on my grill was 30-40 minutes on low heat. Resist the urge to turn the heat to high to have the chicken cook more quickly. The marinade will burn. 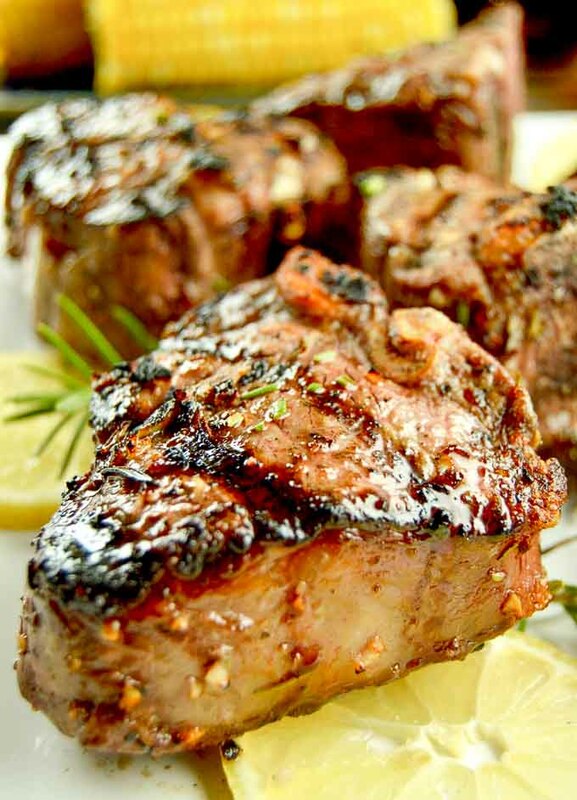 Cooking low and slow gives you moist on the inside and a flavor crust on the outside. This recipe is an adaptation of a newspaper clipping from the Omaha World Herald in the mid 1980's. If you want your jerk chicken spicier, you can mince the habanero and not remove the pepper before grilling. The heat will be much more present when you take a bite! Are you looking for other easy, healthy grilled recipes? 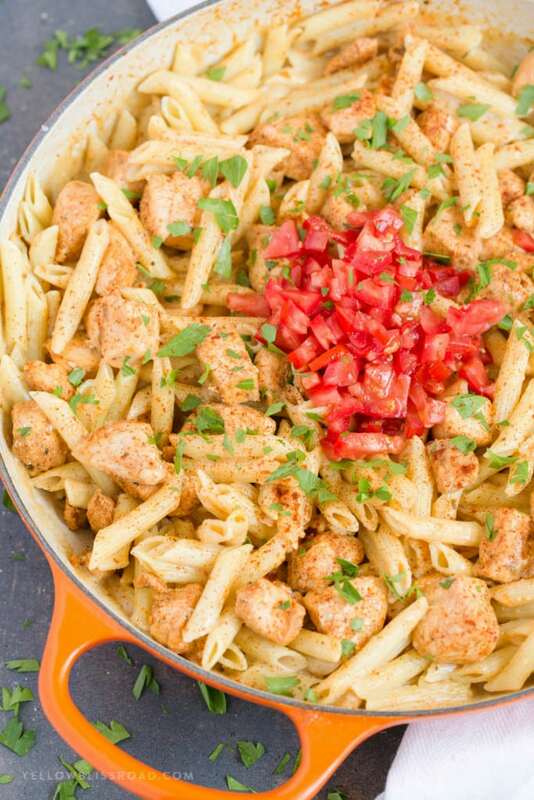 Check out these flavorful recipes that you can make in no time!